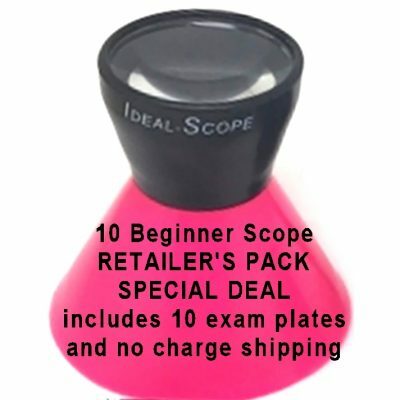 Use this ergonomic, hand held, adjustable focus magnifier to measure very small details. 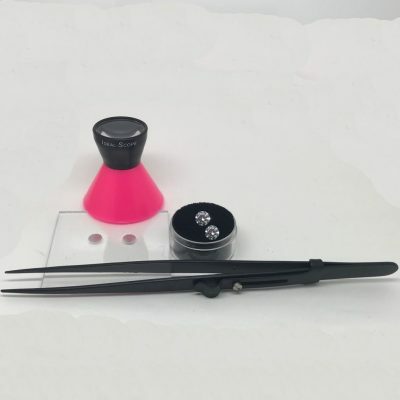 Use it to measure diamond length / width and especially useful for measuring the size of a diamond’s table facet. Uses two supplied AA cell batteries. Measure up to a 10mm length in 0.1 millimeter increments. Use it with or without the light turned on according to your needs or the material you are inspecting. 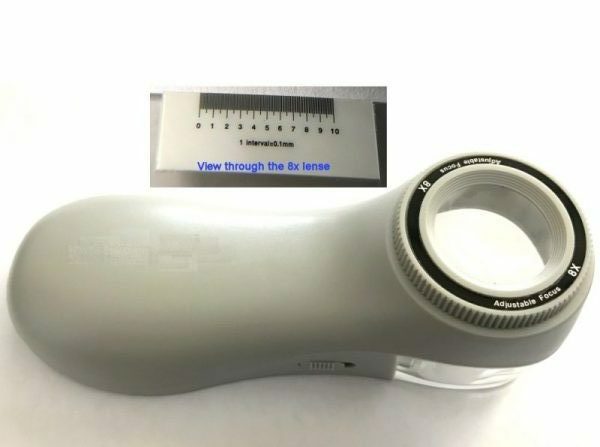 The adjustable focus is very important in being able to make such small measurements with ease.